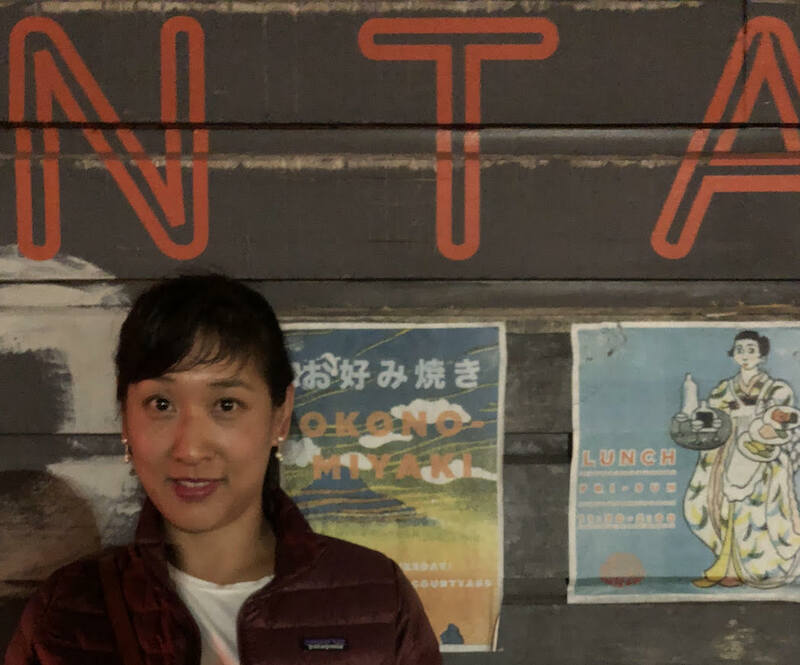 To learn more about her selfless work in her community, we sent her some questions—and her answers are sure to inspire. You are a detective constable with the Toronto Police Service. Could you tell us a bit about what you do in the Child Youth and Advocacy Centre? I have been a police officer with the Toronto Police Service for 15 years, and an investigator at the Child and Youth Advocacy Centre since its inception in September 2013. We investigate allegations of child abuse and child sexual assault where the offender is known or a caregiver. We also assist the Homicide Squad in child death investigations. We are trained child forensic interviewers, and also arrest and interview the offenders. So, we see each case from beginning, through the court process, to the end. We (police officers) work as part of an multidisciplinary team, which includes child protection workers, therapists, educators and advocates from Boost For Kids, Crown attorneys, as well as physicians and nurse practitioners at Sick Kids Hospital SCAN (Suspected Child Abuse and Neglect) Unit, to name a few of our community partners. We even have two facility dogs, Iggy and Jersey, who have two years of specialized training through National Service Dogs to assist us in child interviews and accompany the child to court! One of the best things about this model is that we bring our individual areas of expertise together at one facility, where we are committed to serving the victims’ and families’ greatest good. Could you tell us more about your personal history and what led you to your current job? Funny story... I always wanted to be an artist and actually graduated from the Ontario College of Art and Design’s sculpture and installation program. Of course, being an artist is financially challenging, and I had toyed with the idea of doing a master’s degree to become an art therapist. In the meanwhile, I had been taking martial arts and asked my senior instructor for a part-time security job at the nightclub he worked at. He agreed, and I became the only in-house female bouncer in Toronto at the time. Work in various nightclubs continued after I graduated, while I also continued my art-making practice, taking commissions and trying to make ends meet. One Tuesday night, there was a shooting on the street in front of a small club where I was working. We tried to help the victim, who we later found out died instantly. The crowds were angry, police and ambulances came, homicide detectives gathered evidence—it was chaotic. And it was real. After that night, the uniform officers who were first on scene would visit the club and see how we were doing. I talked to them about what they did and what the job was like, but just out of curiosity; it was never anything I had considered. The more I talked to the officers the more I learned; there are so many different jobs you can do, and although it’s not for everyone, for those who dare, policing opens your eyes to so many experiences—yours and others. Like anything in life, it is as challenging as it is rewarding. The officers, my co-workers, and friends encouraged me to apply, and the rest is history, as they say. Best job in the world! No doubt your job is sensitive, and you must work some incredibly difficult cases. How do you get through those tough days? I am so very fortunate to have supportive people in my life. Graham, my husband, is one of my greatest champions and brings insight to my challenges. He is also a police officer, which helps, but we relate on many levels and understand each other’s histories and triggers, and that brings an honest point of view. My family and friends have always been there for me through all my good and bad decisions (“Mom and Dad, I’m going to be an artist-bouncer-police-officer!” Can you even imagine? What trust!). They bring perspective when I need it most. As with any job, some days are better than others, and you never get through the bad days alone. We are very fortunate to work for supportive supervisors who trust us and foster a collaborative workplace, and co-workers who are like-minded and work towards being self-aware and authentic. It’s human nature that when life doesn’t meet our expectations we can get competitive and judgmental, and all those things end up adding to a bad day. So, we just try to avoid that with each other, because the next day that could be you. It’s not always easy to make those choices when you can barely see through your emotions, but really it’s that simple. Would we be safe in saying police work is still a field dominated by men? If so, has it been difficult for you to be a woman in the field, or is that not something you think about? I think traditionally that is our expectation, based on what society and the media feeds us. However, the reality of that is changing because of the trailblazers who have come before me. So, I am lucky enough to not really have to consider it until it comes up, which it does from time to time, in interactions with the public or in the workplace. And, when it does, I just think, “Is this really happening? Do people really think this way anymore?” And for the most part they don’t, but aren’t those the times you remember! You also volunteer at the Gardiner Museum, helping children of abuse learn ceramics. Why do you feel that pottery is such an effective outlet? I volunteer with an amazing art therapist, Shelley Kavanagh, and a very experienced potter, named Lynn Fisher, who have lead an art therapy group at the Gardiner Museum for a number of years. The group is for children and youth who have been sexually abused, and they use clay to express their experiences, their fears, and their goals. I think that when someone has been through or is experiencing the symptoms of trauma, it is always at the forefront of your mind. When you have something else to focus your attention on, like art-making, you can get a bit of distance from those emotions, get into a flow that frees you from your trauma, and give your unconscious space to figure it all out—name the oftentimes contradictory emotions, edit out what it isn’t needed anymore, and build new goals. It’s very powerful and validating to see something emerge from a formless blob of clay and express where you’ve come from and where you hope to go, and you made that with your own hands! The children and youth also have the opportunity to show their pieces at the Gardiner, which is really a proud day. They are all so courageous. For me, as with most people, it’s challenging to find time for myself. There always seems to be something that requires my attention more urgently than me! So, I have to schedule time for self-care: my monthly massage, time with friends and family, a university course on a subject I’m curious about—all the good things that remind you of how fortunate you are and how far you’ve come. Graham and I like to explore and experience things out of our comfort zone, so our big self-care splurge is travel. Most recently we went to Costa Rica for a few weeks to learn how to surf. It’s also important for me to have a daily ritual or a little luxury where I get to indulge myself, even if it’s just 10 minutes of daydreaming, listening to a TED Talk, or energy work before bed—whatever is going to bring awareness or a new perspective will fill your cup. I remember a quote Oprah Winfrey used and attributed to Dr. Gerald G. Jampolsky: “Forgiveness is giving up all hope for a better past.” Especially when dealing with issues of abuse, there is the push in recovery to “forgive.” However, some things are “unforgivable,” especially when you cannot reconcile with the offender, and yet we have to move past this for our own well being. So, I think reframing forgiveness in such a way is helpful for anyone feeling the long shadow of the past. Forgiveness is about not letting what happened then affect your life now. In order to do that we have to let go of the stories and role models we’ve created that no longer serve us. When you work with children who have experienced trauma, they teach you a lot. It is a long road, but they are resilient in ways we may forget as adults. So, the lesson is: whatever it is you are struggling with, persist. As child forensic interviewers, we are taught to ask open-ended questions so we are getting the purest version of their recollection and not influencing the child with our own assumptions or judgements. It’s an interesting way to think when you are having a conversation because you really have to listen and put aside any preconceptions. You are not a parent and are not there to correct or guide. All children have a lot to share, and they will tell you if you give them the space. And we have a lot to learn from their perspective. 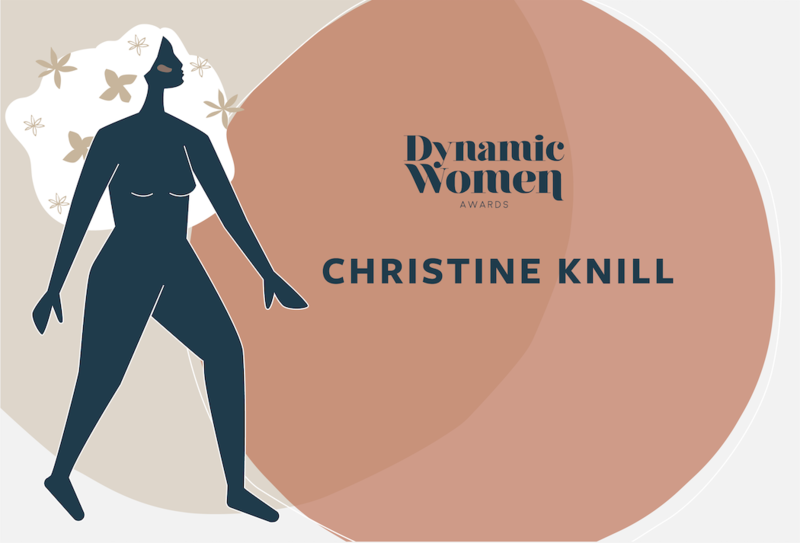 Click here to read about the other 2019 Dynamic Women Award winners.